Getting an education shouldn't come with fears of being in debt. When our son was born, we started to put a little money aside each week for his college education. My in-laws always spoke about how quickly time flies and how soon it will be before he is old enough to attend college. I am so glad I listened to them because they were right. Even though we saved for many years, we still were shocked at the high cost that comes with a good college education. No matter how much you plan for your college education debt, there are always more costs and fees that will arise during your years of seeking a higher education. Don't allow this to deprive you of the education that you desire. Many students are not aware of the many grants and scholarships that are available to help ease those high costs of a college education. Many companies, like Nationwide Debt Reduction Services have scholarship programs that offer students a chance to receive money to help reduce the costs of their college education. They understand the needs and desires of everyone who wants to achieve a higher education and have developed this program for that reason. They are there to help you. Check out these videos on Vimeo from Nationwide Debt Reduction Services and follow them to keep up to date on more information about reducing debt. Students are required to write a short essay about how they plan to keep their loan debt to a minimum in order to be considered for the scholarships that are available from Nationwide Debt Direct. If you are concerned with minimizing college debt, look for information from companies like Nationwide Debt Reduction Services as well as other resources that are available for students. In the mean, time, here are some tips to help keep your college costs down. 1. Live at home. 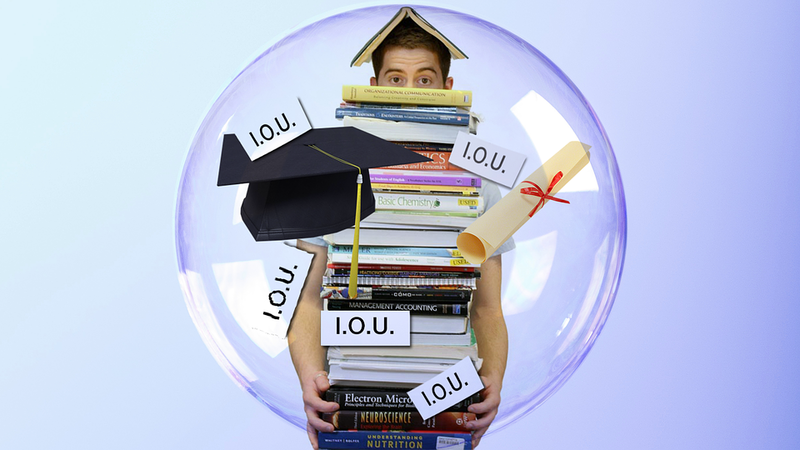 Living at home while you attend college can significantly reduce your debt. Living at college comes with additional costs, including food, laundry, fees, etc. 2. Consider a community college. Community colleges are less expensive than Universities. If you want to attend a University, speak with your advisors about which classes you can take at a community or state college that would be accepted for credit there. This can save you lots of money. 3. Seek part time employment at your college. Some college have job opportunities to help reduce the cost of your tuition. 4. Don't switch majors or colleges. I can tell you first hand that this will be costly if you do. Our son did both. We lost over $10,000 that we paid towards his education in the transition because many of the classes that were taken at his first college were not accepted at his new college and he basically had to take his Freshman year of college all over again. So, be sure of what you really want to do in life before making a commitment. Some college will allow you to enroll without choosing a major right away. Try taking your electives first while you decide what career path you want to pursue. 5. Buy used textbooks and sell them back when you are done with your class. Most used textbooks are available for sale at your college library and are in excellent condition. You will save a lot of money by doing this. New textbooks are very expensive and can cost you a few hundred dollars each. There are many other ways to save on your college education. Do the research and find out how much you can save.